My trips to the thrift shops have been more about dropping things off than acquiring new things. As per Saturday’s post, I’ve been going through the jewellery stash looking for things that need fixing rather than bringing new stuff into the house (I’ll do a post on all the fixies and do-overs I’ve been working on next week). 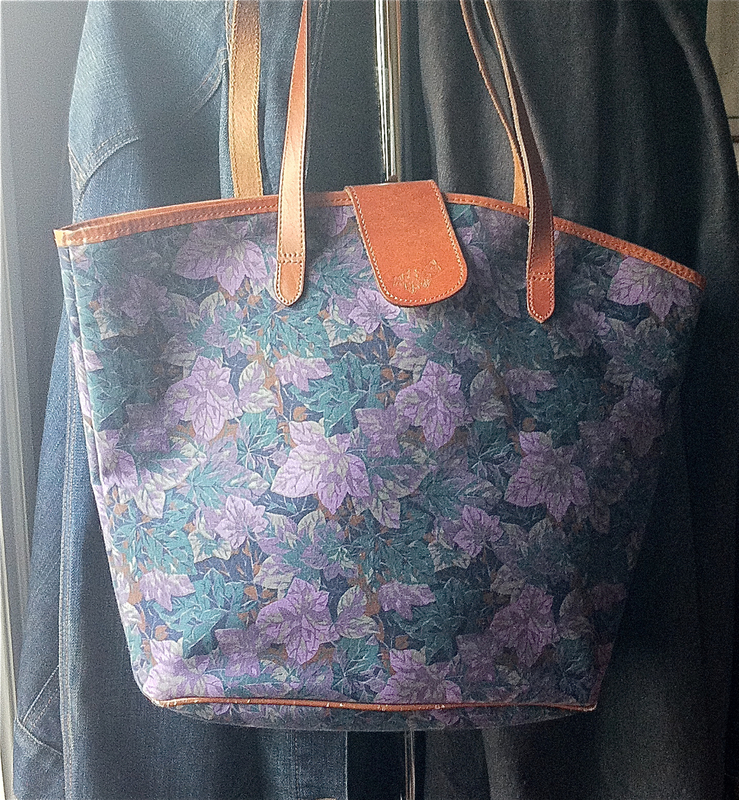 Somehow I convinced myself that buying this Laura Ashley Canvas and Leather Tote Bag. It hypnotized me with it sensible size and Spring-like ivy pattern. I think I may have to look myself inside for the month of February so I can focus on making money, not spending it.